LA Build Corp was commissioned to be the general contractors of the project. The client wanted the style and open floor plan of modern design with the warmth of a family-oriented home. This was a custom home. One of the residents is also a competitive swimmer, so LA Build Corp built a two-lane lap pool that features a spa and a wading pool. 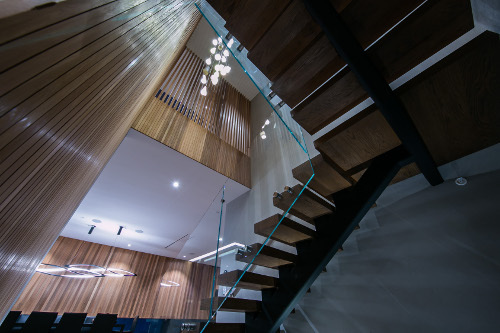 LA Build Corp created a modern home with plenty of Cedar, Ipe, and Delta Millworks specialty wood, Kebony. The designer brought the outside in with this home. 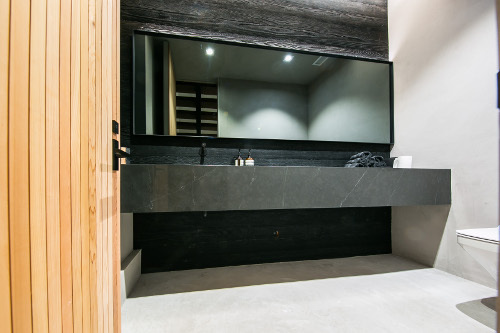 LA Build Corp incorporated live edge work, stones, and landscaping in the interiors to really make this house stand out. The kitchen resembles Leicht & Miele showrooms. 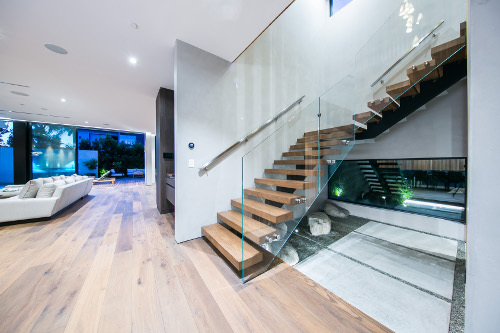 LA Build Corp has built some of the most exclusive and luxury homes in Los Angeles. They have a wide variety of experience building homes that are stand-outs in their neighborhoods through indoor/outdoor elements, quality layouts and materials, unique exterior spaces, and more. 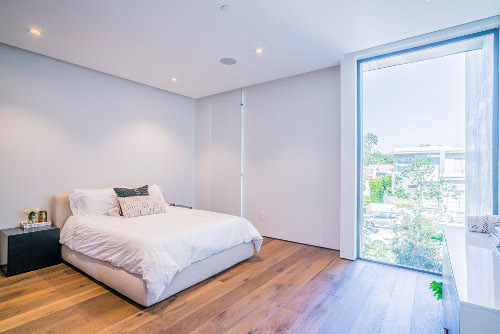 With busy cities such as Los Angeles having limited lot sizes, LA Build Corp used their experience to maximize this build/project to make the most out of its lot size and create a stunning modern home. This was a custom home with an open floor plan, lots of exterior elements included in the interior, lots of light-filled spaces, and an expansive exterior space. 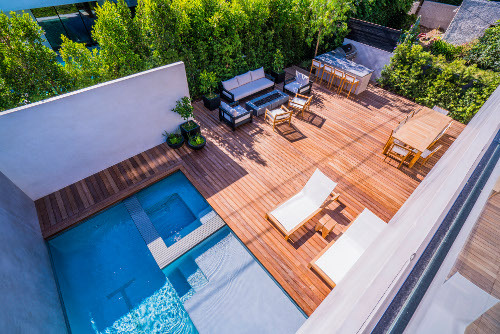 LA Build Corp installed a full home automation system with a backyard projector that plays on the pool wall. All lights, music, TVs, and window shades are controlled by smartphones. While LA Build Corp did not go through the certification process, they did use solar panels for the electrical and pool heat. The air conditioning system is at 97% efficiency and the exterior landscaping irrigation is connected online to a smartphone with the same efficiency as the lights and insulation. 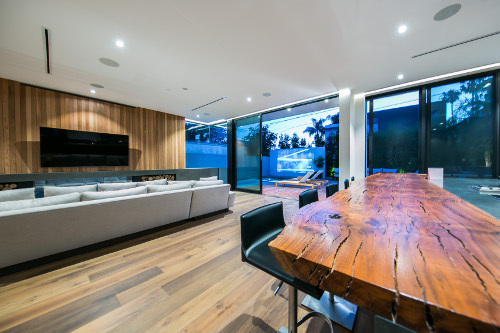 This home really epitomizes the Los Angeles lifestyle through its indoor/outdoor living elements. By incorporating details such as a living room fireplace with a glass back wall, large open windows, exterior landscaping in the interior, etc., LA Build Corp was able to take California's year-round lifestyle and build a home that is suited for every season.